Frog is excited about autumn and the coming of winter. But when Owl informs him that frogs hibernate till spring, Frog is upset at missing out on all the snowy fun. 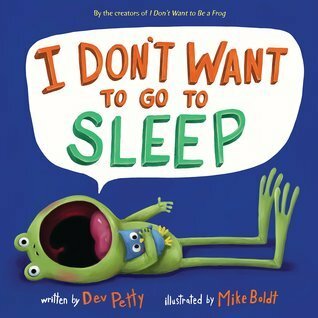 In this hysterically funny twist on the classic “I don’t want to go to bed” dilemma, Frog comes up with all kinds of reasons why he’s not going to sleep through winter, until he devises a clever way to convince his friends to come along for the ride.